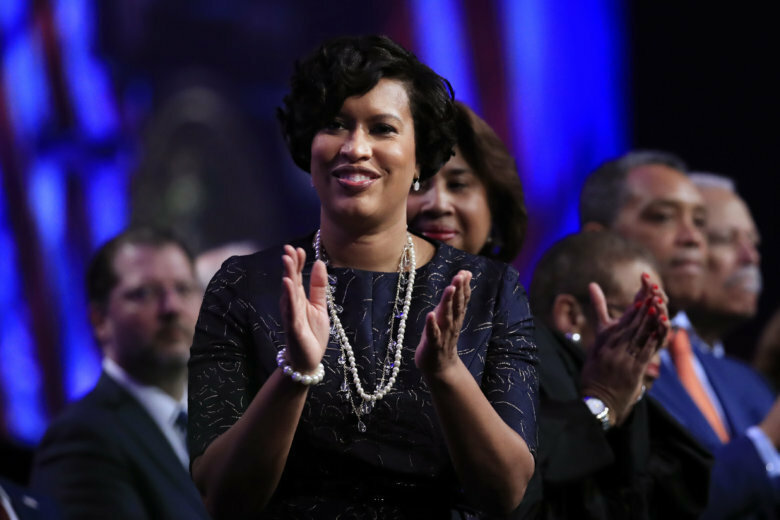 D.C. Mayor Muriel Bowser proposed more money for affordable housing, making child care more affordable and the continuation of free rides on D.C.’s popular Circulator bus during her State of the District address Monday night. Bowser’s budget that now goes to the D.C. Council includes $130 million — or a 30 percent increase in the Housing Production Trust Fund, a program that provides developers with grants and loans to build affordable housing. “In the coming budget, we can and will invest nearly $200 million in the production and preservation of affordable housing,” Bowser said in her address, adding that additional monies would be for rehabilitation and preservation of subsidized housing and $20 million for “workforce housing” for middle-class residents. “Affordable housing isn’t just a problem for our most vulnerable residents, though — it affects our entire community,” she said. Bower wants to infuse more money into Safe at Home, a program aimed at modifying the homes of seniors facing steep property taxes. That program has helped more than 1,200 seniors, she said. Her plan is to include an additional $2 million for the program in her upcoming budget, in addition to the 5 percent cap put in place last year on the amount property taxes can increase for eligible seniors, down from the previous amount of 10 percent. To fund affordable housing options, Bowser proposed raising taxes on commercial property transactions. She told The Washington Post she wants to raise the deed recordation and transfer taxes on commercial properties worth more than $2 million. As for child care, the mayor shared plans to eliminate taxes on diapers and make child care more affordable by making the early learning tax credit permanent. The credit provides up to $1,000 per child enrolled in a D.C. licensed child care center. Though stopping short of a specific endorsement, Bowser expressed approval for 2020 presidential candidate advocating for a national paid family leave policy. Her budget includes $4.6 million for technology in education that would go toward equipping each third, sixth and ninth grader with new a laptop or tablet. Bowser also outlined plans to reshape vocational offerings in high schools. On transportation, the future of the Circulator bus was a hot topic for people who use the bus system to travel around the District. What began as temporary free rides in February and March will now be a permanent option for riders, Bowser said, while noting that the popular Circulator lines and Capital BikeShare are still not replacements for the ailing Metro transit system. More access to resources for veterans was also a major part of the mayor’s address, which began with a critique of President Trump’s consideration to see a military parade in honor of vets. “I see another way. I see another way to show them that we care — by building a new world-class medical facility that provides the services, opportunities, and health care that our soldiers deserve,” said Mayor Bowser.